Please join us for Gannon’s Holiday Buffet 2018 on December 24th from 4:00- 8:00pm and on December 25th from 11:00-8:00pm. Happy Hour will not be available on December 24th or 25th. 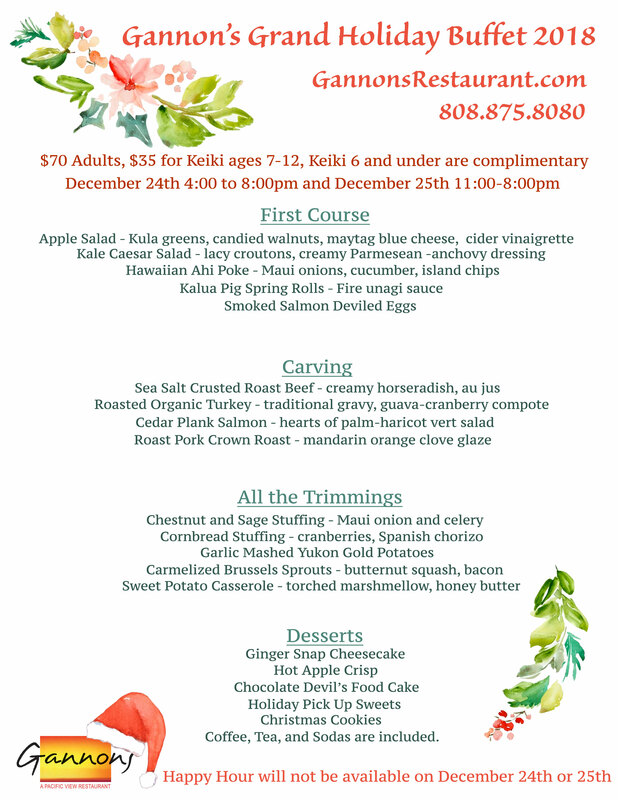 Please make your reservations online or by calling 808.875.8080.